Summer’s right around the corner, and you know what that means—it’s time to start manscaping your back for beach parties and preparing your ride for the hot July sun. You’ll have to look somewhere else for a Mangroomer, but AutoAnything has your back when it comes to giving your engine a Slurpee-grade brain freeze. Flexalite Cooling Fans— An electric cooling fan from Flex-a-lite won’t keep a veranda-swinging southern belle cool on a sweltering Savannah summer night, but they do a bang-up job of cooling your engine—way better than stock fans, that’s for sure. Factory blades move air over your radiator like a timid lover blowing into his girlfriend’s ear for the first time. 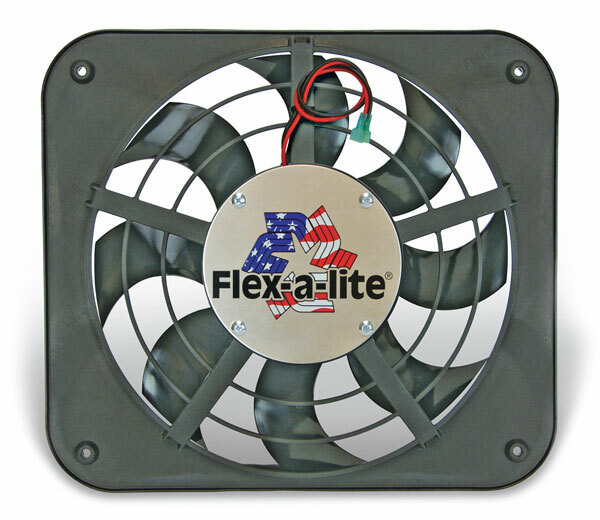 Flex-a-lite is an experienced cooling libertine, blowing your motor with enough gusto to boost your horsepower and reduce MPGs, especially if you’re towing with a heavy-duty 5th wheel hitch or gooseneck hitch. This entry was posted in Auto Accessories, Auto Parts, Engine Performance, New Products, Product Review, Trailer Hitches and tagged Auto Anything, AutoAnything, Cars, Cooling Fan, Fans, Flex-a-lite, Hitches, Manscaping, Nascar, Radiators, Trucks. Bookmark the permalink.